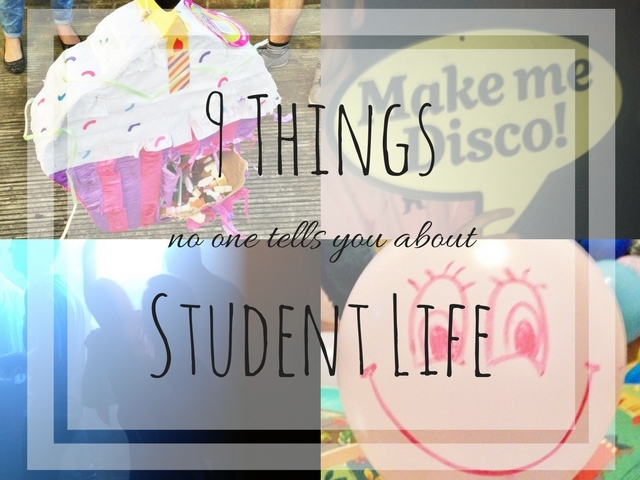 There are the usual things people warn you about student life and they always say you won't be prepared for these things, but these things you actually are prepared for because you get warned so much. You will come up with a whole list of your own of things you weren't prepared for! 5. Registering at the Doctor's means peeing in a tiny specimen tube and sitting in a waiting room with said tube with loads of other people. This tube means chlamydia test which you didn't sign up for. 7. You will have mice. And if you live with boys they will scream and jump onto the sofas when they see one. 9. Trying to save money by keeping the heating off results in damp. Turn on the heating. Unless it's broken, then it's not your fault. Was there anything you learnt at uni that nobody warned you about before?! I'd love to hear! I hope I never loose my phone! I lost my phone, back in the day when Sony Ericson were all the rage. I left it in the bathroom at a Uni event night thingy and it was never to be seen again. I laughed out loud at this, I thought it was just my house that blames everything on our ghost!! This is all exactly right!! !